Based on the themes of the Belgic Confession, this course (in PDF format) aims to help teens grow spiritually by understanding the basics of the Reformed faith and its relevance to their lives. Order one per church. Permission to photocopy is included. Justification. Providence. The Trinity. Looking for a resource that helps teens understand these Reformed concepts and more? 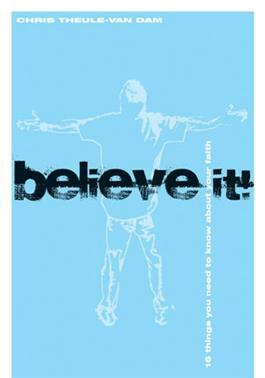 Then check out Believe It!.Based on the themes of the Belgic Confession, this course aims to help teens grow spiritually by understanding the basics of the Reformed faith and its relevance to their lives. This course is easy to lead and the small group format is fun for teens. A helpful leader guide and printable student handouts are included in one convenient PDF download. Chris Theule-VanDam is the husband to Arika Theule-VanDam and the Western Great Lakes regional director for YoungLife. Chris holds degrees in Christian education and biblical studies from Taylor University, along with a master's degree in theology from Fuller Theological Seminary.